~Mamamie's Thots~ Singapore Parenting and Lifestyle Blog: D'Elegance Shapewear: The shapewear that every woman needs! 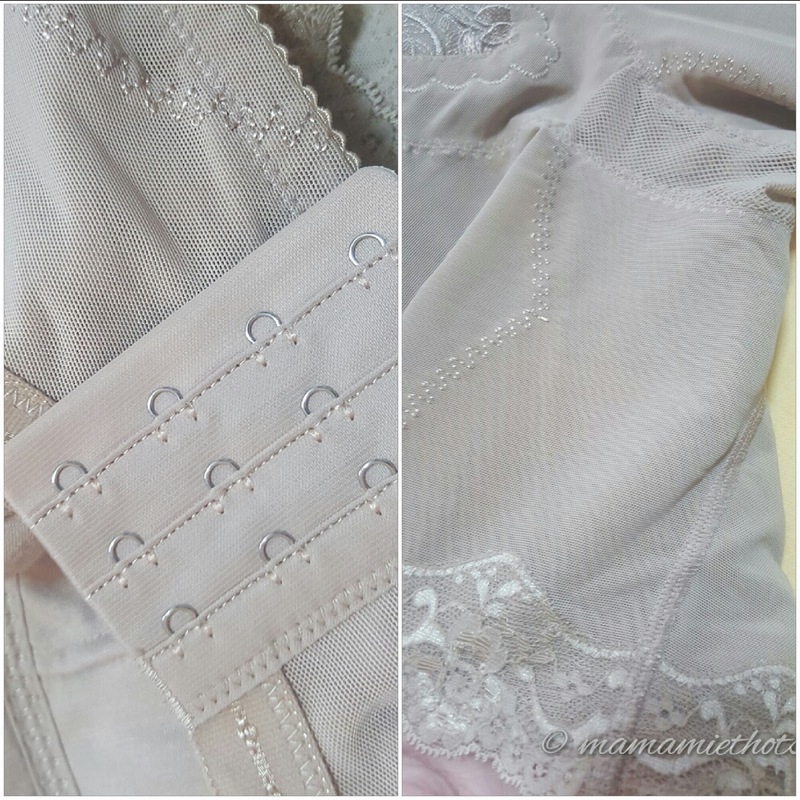 D'Elegance Shapewear: The shapewear that every woman needs! After been through 3 pregnancies myself, I'm sure majority mothers out there will understand and may have the same dilemma as me. Weight gain, saggy breasts, flabby thighs and that tummy of mine that looks forever 3-4 months "pregnant". It's quite depressing at times when I look at myself in the mirror. Sometimes when I see nice tight fitting dresses, I will reminisce about the past and start to ask myself "where has my 25 inch waistline gone to?" When D'Elegance approached me to do a review on their shapewear, I gladly take up the offer to see if these shapewear is able to make any difference to my life. After the personal consultation session with the founder, Ms Elida, I finally see some light at the end of the tunnel. She is a very humble lady who is willing to share her knowledge and tips on how to take care of our body and how to wear these shapewear effectively to achieve that figure which I thought was once lost. Measurements were taken during the consultation session and I was recommended to take this set of shapewear to target my problem areas. All these shapewear are specially designed by Ms Elida after years of research. 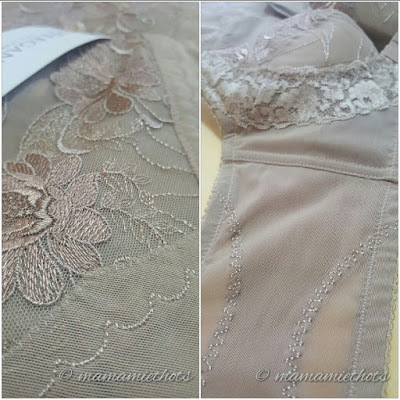 The lacy details which reflect the feminine side and the cooling breathable material which is suitable for people to wear in tropical countries. 4 hooks for secure wearing and the area which requires double layers to give that extra lift and shape our body. I am impressed with D'Elegance shapewear. Not only I could achieve that instant "slim" look on my body, I felt so comfortable wearing them the whole day while doing my annual CNY visiting at relatives' houses. I do not have to worry whether my tummy will protrude out when I sit down anymore. Their shapewear are made from Wincool fabric and the cooling effect actually can bring down 1-2 degrees celcius from our body temperature. Personally I have a very "heaty" body so when I wear the shapewear, the comfy level is one of my primary concerns. I am glad to say, I don't feel hot in these shapewear at all. D'Elegance is giving a waiver of $100 consultation fees when you quote "Mamamie's Thots" if you come for a personal consultation. On top of that, you can get a 5% discount on your 1st purchase. 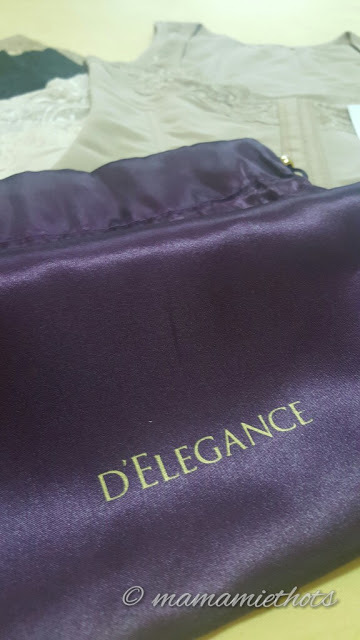 Disclaimer: I received D'Elegance products for review purpose. No monetary was compensated, all opinions are my own.